Flash is dead. Long live Adobe anyways! 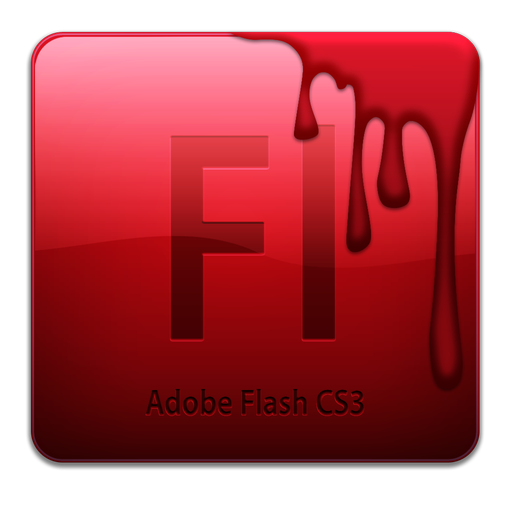 The witch hunt to kill off Flash — not the DC Comics superhero, but rather the antiquated browser plugin from Adobe (ADBE) — has grown beyond the realm of IT departments, to an angry mob of citizens wielding digital pitchforks. In a plot twist eerily reminiscent of The Fifth Estate, a super-secret organization calling itself “Hacking Team” was itself the victim of a security breach last week leading to the leak of thousands of confidential documents. Adobe revealed that all versions of Adobe Flash are vulnerable to the attacks, regardless of the computer’s operating system. Even PCs running Linux — typically considered a more secure OS than Microsoft (MSFT) Windows — risk being exploited if Adobe Flash is installed. The tech firms have finally had it with Flash. System76, the computer vendor behind the Ubuntu operating system, removed Adobe Flash from its list of pre-installed software. Mark Schmidt, senior Firefox community support lead, informed the world via Twitter (TWTR) that Mozilla is automatically blocking all traffic to Adobe Flash, at least until the exploit is patched. Back in 2010, the iconic Steve Jobs released a lengthy opinion about this thorn in the side of the modern computer era, with an open letter entitled “Thoughts on Flash,” detailing his thoughts, complaints and predictions for the future of Adobe Flash, including an explanation of his refusal to integrate Flash support into iOS. Would the Death of Flash Impact Adobe Stock? Adobe is most widely recognized by the general public for its creation of the portable document format, among the world’s most used digital document formats. Adobe products, however, include more than just the free PDF reader and the plague-ridden Flash player. The real value of ADBE is its more than two dozen software applications covering a broad range of specialized — and essential — functions for the self-employed, as well as small and large businesses alike. Just look at Adobe stock, up nearly 14% year-to-date, and more than 200% in the last five years as of this writing. ADBE reported record quarterly revenue of $1.16 billion for the second quarter of fiscal year 2015. While management doesn’t break down revenue on a per-product basis, it’s extremely unlikely that Adobe Flash is responsible for more than a paltry few percentage points — after all, it represented just 7% of ADBE revenues all the way back in 2009. And even Adobe didn’t bother mentioning Flash in the entirety of the company’s 60-page June investor presentation. Simply put, Adobe Flash isn’t a make-or-break factor for Adobe stock. The only ones benefiting have been clandestine hacking organizations that develop shady exploits to violate the privacy of computer users everywhere. But it’s good for headline writers. Nothing says “ratings” like a brand new privacy scare, especially when coupled with a Snowden-esque leak of top secret government documents. Headlines like ComputerWorld’s “Adobe Flash must die, die, DIE. Firefox shoots gun loaded by Facebook” are bound to pull in the readers. Or, using a slightly less dramatic, yet equally emphatic approach, Wired article titles such as “FLASH. MUST. DIE.” have garnered some attention. The reality, however, is that the Adobe stock price barely registered a reaction, despite those fantastic headlines. And while ADBE shares did dip a bit on the initial news, they quickly bounced back and were trending upward as of Thursday morning. Adobe is a $40 billion company with shares that are near all-time highs. The vulnerabilities exposed by hackers simply demonstrates that it’s time for Adobe Flash to retire. It’s old, outdated and vulnerable. Meanwhile, Adobe stock is as strong as ever. ADBE will continue its run up regardless of whether Flash is retired, killed by Psycho-Pirate in the “Antimatter Universe” or lost forever in the ether of the Speed Force. But those are pure comic book fantasies.